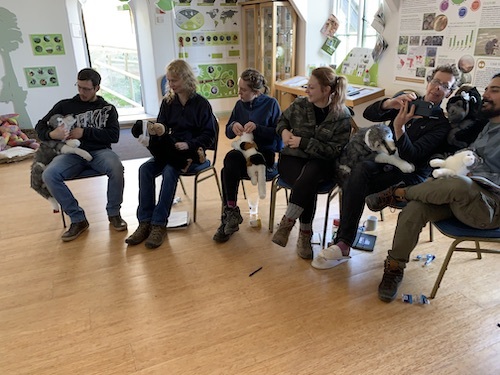 Talk about going the extra mile for clients…we recently developed a course for a monkey sanctuary, to teach its staff how to perform life-saving first aid skills on the playful primates. Believe it or not, there are lots of monkeys kept as pets in the UK – over 5,000! This is not ok, and owners soon realise they can’t give them the attention and care that they need. All monkeys are wild animals and inherently unsuitable for keeping in domestic situations. Lack of adequate species knowledge, diet, veterinary care, social opportunity and space leads to mental, physical and emotional suffering for pet primates. Places like Wild Futures (www.wildfutures.org) sanctuary take them in and give them a good home. Wild Futures is a UK primate welfare and conservation charity rescuing, campaigning, educating and providing sanctuary to primates in need. They also support projects overseas, working to protect primates and habitats worldwide. The rescue centre offers outstanding levels of welfare and innovative care management for all of its primate residents. 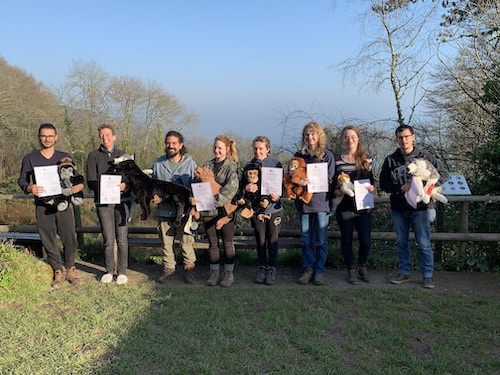 It is the first and only Sanctuary in Europe to be accredited by the Global Federation of Animal Sanctuaries (GFAS) too! Part of ‘giving them a good home’ is being able to care for them in case of emergency. This is why the organisation contacted us to help. 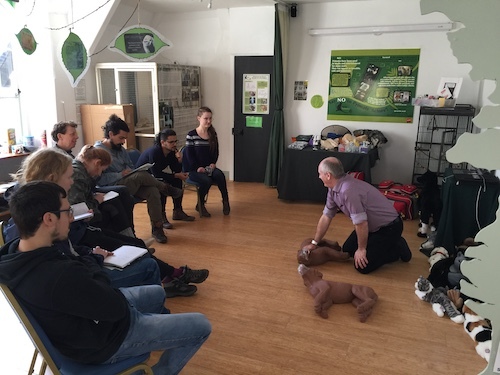 We adapted our pet first aid course to cover monkeys. 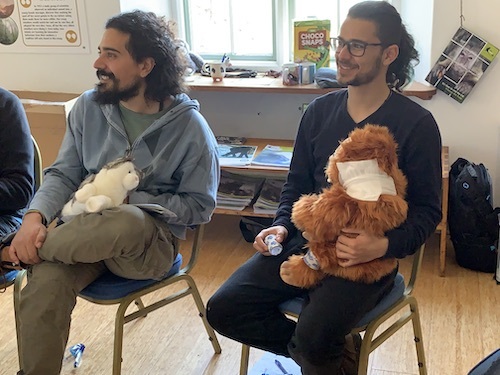 This may sound easy, but actually, monkeys have some pretty specific needs that make them stand out from a normal pet first aid skills point of view. 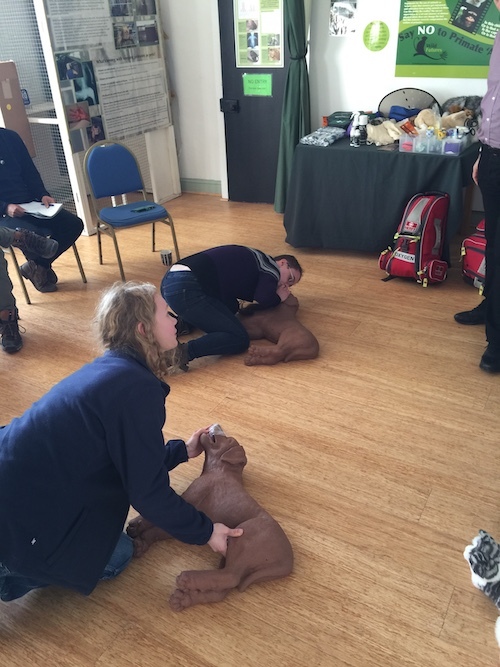 For example… Where as with dogs and cats, CPR compressions are given on the side, a monkey is much more like a human. Compressions are given on the chest, with the monkey facing you. If you or your organisation has unique requirements for a first aid course, let us know! We want to help you help others, whether they are humans or animals. Let’s work together to develop some fun, engaging training to teach others how to save lives. And here are some photos from a great day out there training!